MARCH 11--The latest tax return for Wyclef Jean's foundation has been filed, and while it reveals that the musician is still paying himself from the group's funds, the charity reports that it has just instituted a written conflict of interest policy. So that must reassure prospective donors, right? 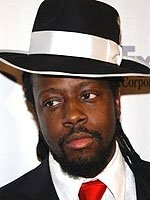 As TSG has previously reported, Jean and a business partner personally received more than $400,000 from the Wyclef Jean Foundation between 2005 and 2007. The organization's 2008 tax return, which is excerpted here, shows that the group reported gross receipts of $1.8 million, more than 20 times what it disclosed in 2007. More than $1 million of that sum was wired to a Haiti-based group that reportedly provided food and relief services in the country, and also organized a free outdoor concert in Port-au-Prince starring Jean himself. The IRS filing also reveals the establishment of a conflict of interest policy that requires foundation officials to annually disclose 'interests that could give rise to conflicts.' The tax return also reports that an unnamed donor made an in-kind contribution of stock valued at $534,660 (the securities were quickly sold by the foundation).